The music is "The Bard Dance." Please be patient as the Wee Little Ones assemble. You will be rewarded in your dreams. Do you believe in "the Little People?" Growing up with an Irish mother, I naturally heard many stories about the Little People. To this day, I wouldn't dare deny them! Chances are you've had an encounter with the fae. 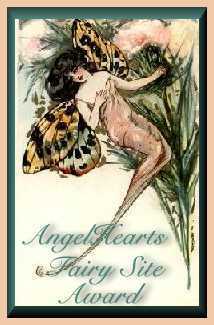 and that was the beginning of faeries." This Ring of Ellyllon site is owned by Kathleen B..
....may Faerie magic and enchantment follow you always!